In its last production days, Tiffany studios was home for many a "B" western series. 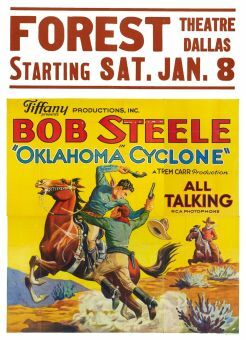 One such starred Bob Steele, usually cast as a young cowboy searching for the murderer of his father. 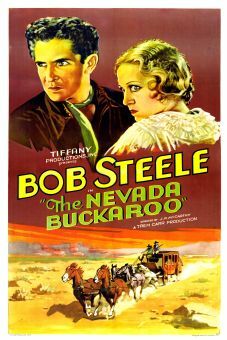 In At the Ridge, however, Steele and his sidekick Al St. John are occupied with protecting a herd of horses from murderous rustlers. The leader of the bad guys turns out to be an undercover US marshal, thus preventing Steele and John from ending up laced with lead. 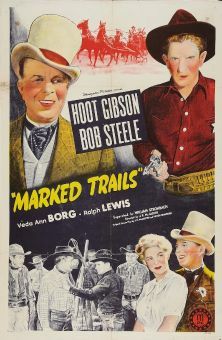 The "good bad man" in At the Ridge was played by Al Jennings, a real-life outlaw who reformed after a prison term and went into movies as an actor, producer and director. 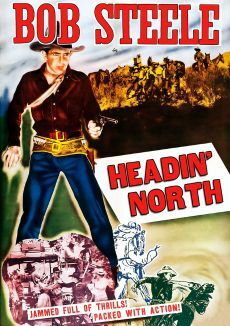 His life story was somewhat romanticized in 1951's Al Jennings of Oklahoma, which starred Dan Duryea.